This article is written by Fazeek Kazi and is an extract from his blog Islamic Personal Investing with little added / modified scheme list for tax saving plans. The article is solely his personal views concluding that there is no halal tax saving investment in India and written in January 14, 2012. This article only discusses tax saving through investments; it doesn't discuss about other tax saving options. There are ways to reduce taxes through deductions and I'll discuss the same in another article. Let me get straight to the point, I feel THERE IS NO HALAL TAX SAVING INVESTMENT IN INDIA. You can continue reading further to know the reasons for the same. I am not even going into the stupid arguments that interest is allowed, small percentages are fine, interest in not usury, riba stands only for usury and not interest. Allah has given us brains to think and the Quran/ Sunna as a guide; every person is capable of investigating and finding out what is allowed and what is not. All these schemes are Interest based ones and hence obviously haram. Pure Life Assurance and Medical Insurance (for self and parents) is fine and a good tax deduction; but it is not literally an investment. You do not get any returns directly. 1. You have no idea about which Stocks the insurance company invests the ULIP funds as they do not reveal where they have invested. 2. Rest of the points are same as ELSS below. Pension Schemes can take various forms and are usually from Government, Insurance Companies and Mutual Funds. However, all these are heavily into Interest based investing and hence not allowed. 1. Although they are equity based, some portion (about 10-20%) will be invested in Debt instruments. 2. Usually they invest a significant portion in shares of Financial Instituitions like Banks, NBFC, etc. 3. There is nothing stopping them from investing in completely haram sectors like Alcohol, Sugar, Media & Entertainment, Tobacco. 5. Cash rich companies like IT, PSU's have huge amounts of idle cash often invested in Banks/ Bonds and other short-term investments. This pays them a good amount of interest income. Even if you ignore the last 2 points; just go through the Investment Portfolio of any ELSS Mutual Fund and you will see that nearly 30%-50% comes under haram. If you have taken a Home loan from a Bank/ NBFC, you are surely paying interest and by Shariaah both the interest payer and receiver are equally sinful. The only way this can be made halal for tax purposes is that you take a loan from your father/ mother or some close relative with 0% interest and just show to the government that you are paying them interest. The following are Tax Saving Investments for salaried employees and are usually compulsory; so you do end up forcefully investing in them. Since they are forced over you, you can't do anything about it. However, whenever you resign you can withdraw the same. So what do you do? It's simple you pay the Tax. What else can you do? 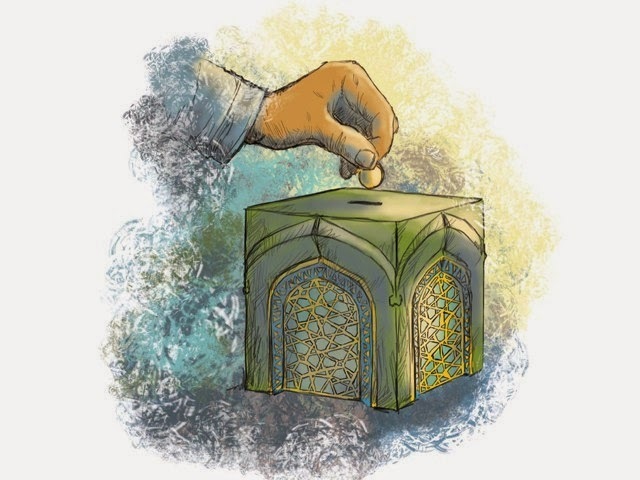 It might be haram to pay such high levels of tax, since there is no basis in religion for such high taxes and much of the money doesn't get used up in the right way. However, to prevent one haram that is forced upon you, it is not right to willfully commit another haram by investing in non-Shariaah way. Allah knows best. Very well said. Totally agree with you! We have no choice but to only pay the taxes ! IS Lying NOT HARAM IN ISLAM?? "The only way this can be made halal for tax purposes is that you take a loan from your father/ mother or some close relative with 0% interest and just show to the government that you are paying them interest". So, take it as loan and say to government that ur paying HRA? Can you please share link about who offers Islamic Finance / Sharia Banking training, etc? Please remove this article else I will raise a case with Google Adsense for copying without permission since Ads are the only reason you have copied instead of linking. How about investing in any of the below items to save tax and donate the interest components as part of charity? Justification is baseless. We pay heavy profit (interest) on using credit balance or loan in KSA.